As you wrap up your holiday gift projects, it's time to think about starting something new just for YOU! This gorgeous new colorwork cowl uses our luxurious cashmere yarn, Xanadu - and you can save big on your yarn for this project during our holiday sale! This cowl is knit in the round to form a nice, warm tube, which is then grafted together at either end to form an infinity cowl. 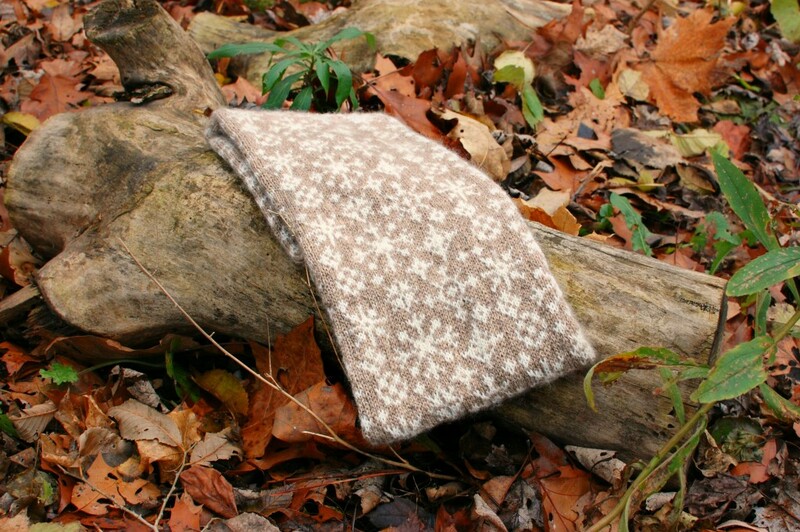 It's both lightweight and warm, perfect for looping around your neck to fully enjoy the softness of 100% Mongolian Cashmere. You can purchase the Xanadu Snowflake cowl here on Ravelry, and read about it more on the Knitted Bliss blog here. 1. Sky & Teal, 2. Red & Mocha, 3. Aqua & Grey, 4. Natural White & Gold. Don't forget, all US orders ship FREE now through 12/24/15; enjoy 15% savings on all regular-price items (including Xanadu yarn!) with coupon code YULE2015. Plus, ALL orders of $149 or more will receive a bonus $20 gift certificate! Click here to shop now at bijoubasinranch.com.